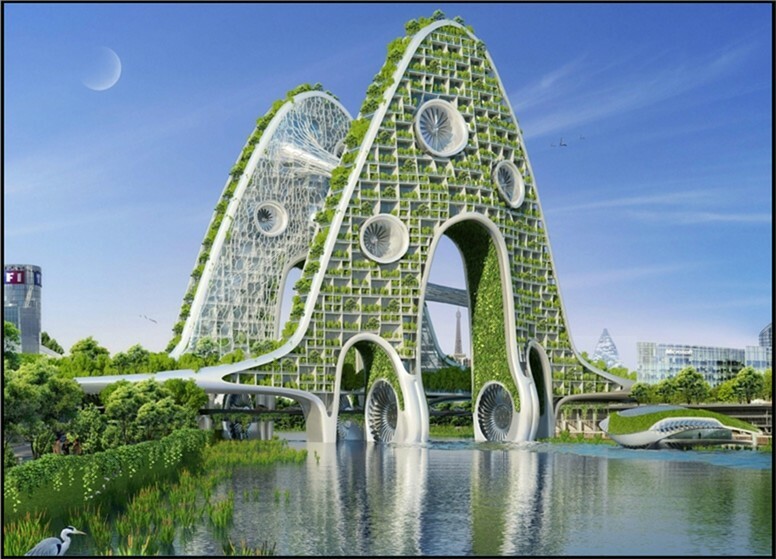 What if the Montparnasse Tower and the railways abandoned their grayish mine buildings in favor of algae, woven bamboo and vegetable gardens. 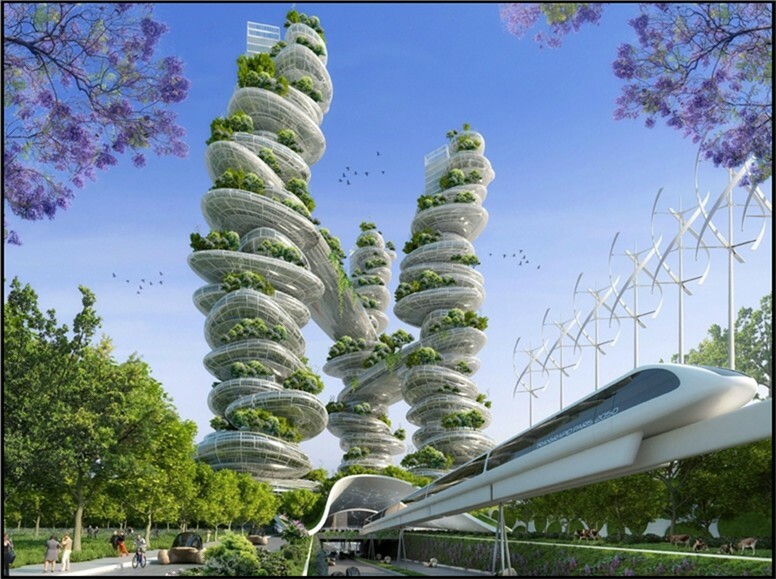 And if pollution disappeared to make way for wind turbines and solar panels?Welcome to Paris 2050. 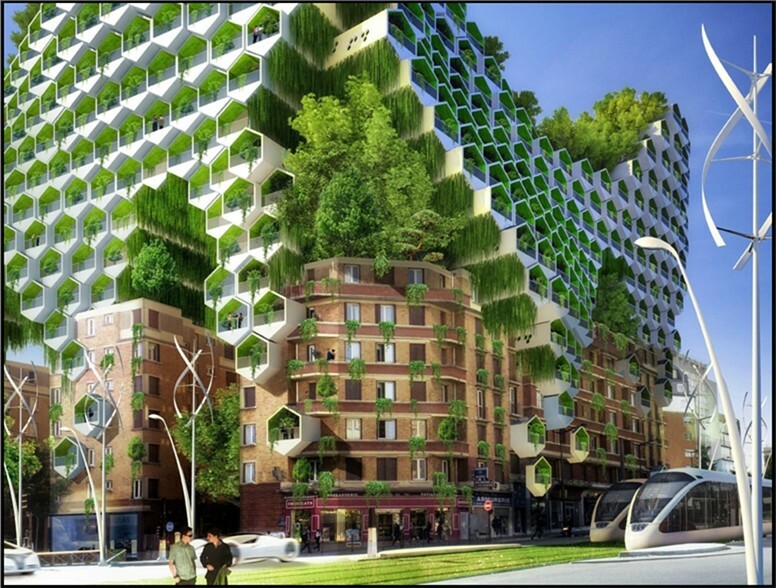 The city of Paris seeks to reduce by 75% its gas emissions by 2050. 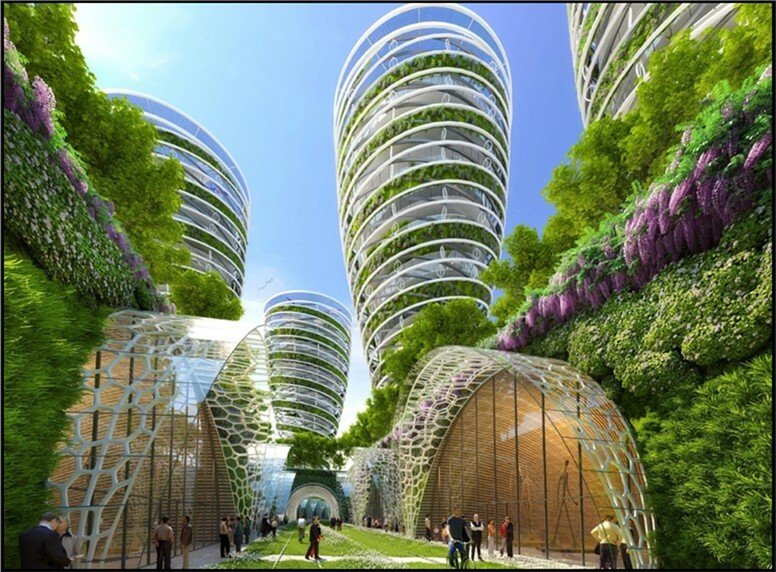 The "Paris Smart City 2050" project was developed by French architect Vincent Callebaut in collaboration with Climate Energy Plan. 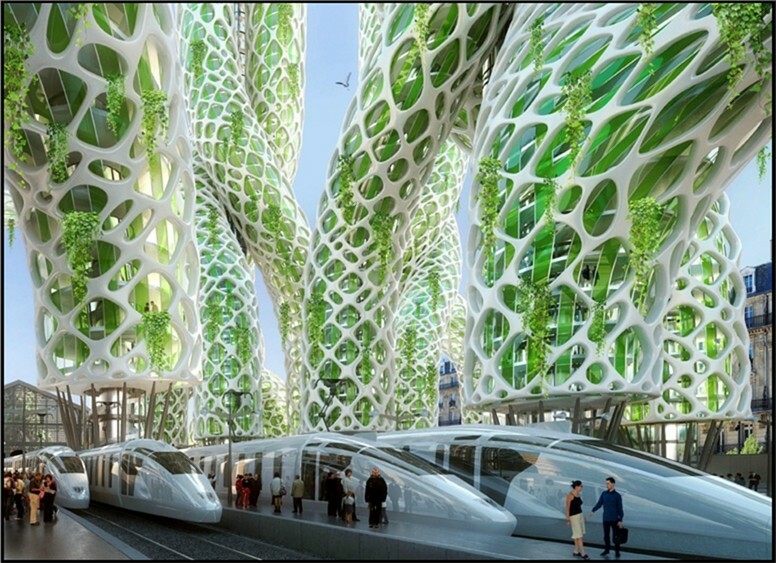 The project presents eight prototypes of green towers. 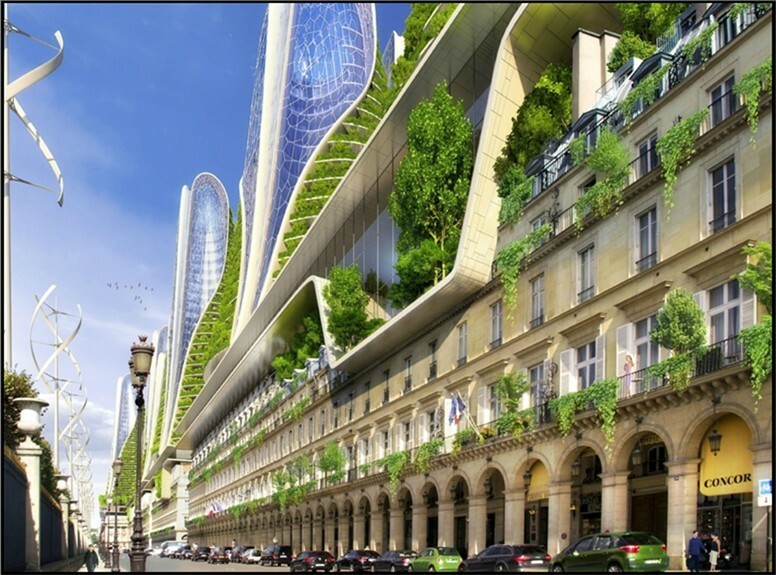 In 2050, the Montparnasse Tower is an office building, but also a public park with suspended gardens. In terms of energy consumption, the tower is carbon neutral, it does not emit carbon dioxide thanks to algae around its structure. The roof of the shopping center recycles waste-water. 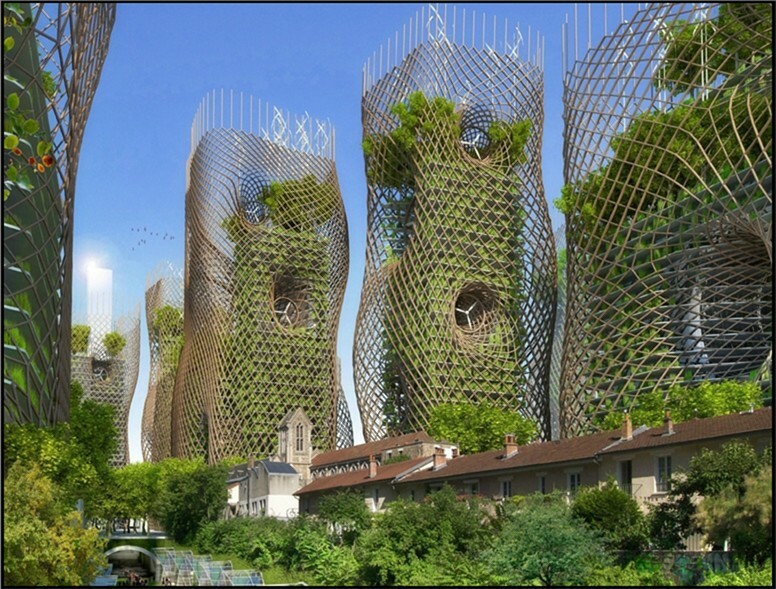 In the north-east of Paris, the concept of "Farmscrapers towers" aims to implement three vegetable towers filtering polluted air and on each floor cultivated fields by the inhabitants. The aim is to bring the countryside in the heart of the city.